View cart “Siamsnus Chili White” has been added to your cart. Now you can enjoy delicious Snus and get a fresh breath at the same time, say hello to our new product Siamsnus Peppermint White. Siamsnus Peppermint White is a medium strong Snus that is flavored with real peppermint. The result is a surprisingly fresh and tasty Snus which also smells really good. Do you enjoy the taste of peppermint and is also a Snus user, we believe that you will appreciate this snus. This version of Peppermint Snus is a bit dryer and less juicy than our other version Siamsnus Peppermint Portion. Siamsnus Peppermint White will as usual be delivered in a box containing 24 pouches of Snus. Good snus been trying it for 2 days now and i like it, its good snus. Snus All I can say is that being able to buy delicious snus and have it delivered in one day is just great! Been trying plenty of different kinds over the years and the taste described in the adds is spot on! 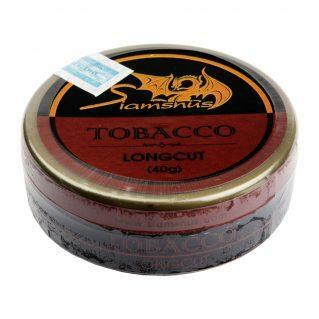 I`d highly recommend anyone to buy their tobacco from Siamsnus.com. Great all day Nice, mild peppermint flavor. That gently mixes with the tobacco. Peppermint flavour could be stronger and like mentioned in the other review the pouch could stand to be a bit thinner and slimmer but nothing to deduct points for. My favorite all day snus. Great deal at 149baht. 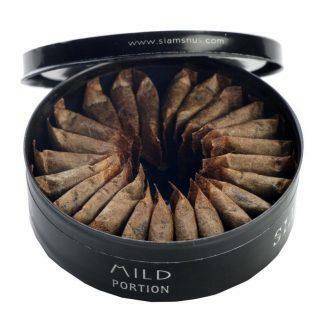 The pouches are filled a bit less, which makes them more comfortable to use and closer to the scandinavian snus size. The peppermint flavor is mild and just gently covers a bit of the tobacco flavor. For a perfect 5 star review i would love to see a softer portion wrapper to increase effect and comfort. I would also prefer if the shape could be made a bit wider / less square, similar to the swedish slim portions, but without reducing the overall size.